As a sports fan, is there a worse month than February? Aside from the Super Bowl, there are very slim pickings of events to watch for the sports enthusiast. Personally, I found myself watching bowling and darts. Sports Mediums across the board from TV to talk radio are stretching to fill their shows with any pertinent information. However, there is one bright spot to the humdrum days of February… March is right around the corner! For us baseball fans that means one thing, that pitchers and catchers begin reporting to spring training. With the season set to start in just a few weeks, now begins the time when we all hold cautious optimism for our favorite teams, but for a New York Mets fan, this season has a special feel. After their unexpected run to the World Series last year, losing to the Kansas City Royals in 5 games, there is cause for unnatural optimism coming out of Queens. This years Mets team has the capability to dominate the league and (temporarily at least) become the NY medias favorite team. Everyone knows the potential the starting pitching has and we are only 2 weeks away from getting the chance to see it on full display for an entire season. Offensively, the re-signing of Cespedes was HUGE. He rallied the offense last year from a below-average hitting club to the force that brought them to the World Series. Say what you want about Cespedes off the field, but on the field and in the batters box he is as skilled and talented as they come. He is a professional hitter and his confidence resonates throughout the line-up. The Mets needed a force in the middle of their line-up and their front-office finally made the move for a loud bat in the heart of the order. 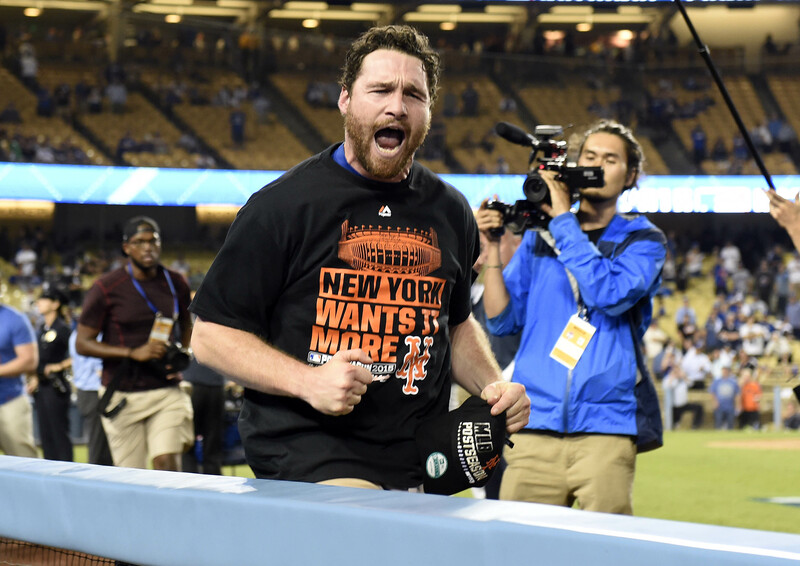 Another notable move in the off-season has been the loss of Daniel Murphy. Murphy rejected the Mets qualifying offer of 15 million and signed with the division rival Washington Nationals for 3 years and nearly 40 million. Being that its 2016, and players are only as loyal to their franchise about as much as a college student and his/her latest tinder match, it is easy to understand why Murphy declined the offer and went paper chasing to the division rival. And yet I think there was more that could have been done. There is always a discord in the ‘Money vs Heart’ debate when it comes to athletes, but I feel that the loss of Murphy could have been avoided if framed a better way, one that would have got him to stay in New York and accept the qualifying offer for less money. Murphy is leaving the the possibility of becoming a Mets legend to be a National. He will be a good player, not a great player, but all of his accomplishments could have had more meaning if he had stayed with the ‘Mazings. His legacy could have bee fully realized if he had just re-signed with the Mets. There is something special is going in Queens and Murphy had the opportunity to become a NY Met legend if he could have just one more magical moment wearing blue and orange. With one more big year in NY, Murphy could have solidified himself as the temporary face of NY baseball in a post Jeter era. Hell, if he happened to get a hit to win a World Series I can guarantee you a statue right outside Citi Field. After the postseason heroics of 2015, the legacy he could have left if he made one more run with this NY Mets team could have been epic. Picture SNY doing documentaries featuring the 2015 postseason and on, becoming a player who Mets youth could look back on years from now fondly, as a hero. Instead, Murphy is sacrificing his chance as a potential legend, opting to be an easily forgettable run-of-the-mill second baseman who grabbed the low lying fruit for a few million dollars more. Cespedes came back for one more run with this team. Murphy should have as well. Instead, New York and Washington will fight each other for the NL East crown and World Championship glory, just this time Murphy could be on the wrong side of it. Be sure to check out HBT Sports’ MLB Team Previews here.